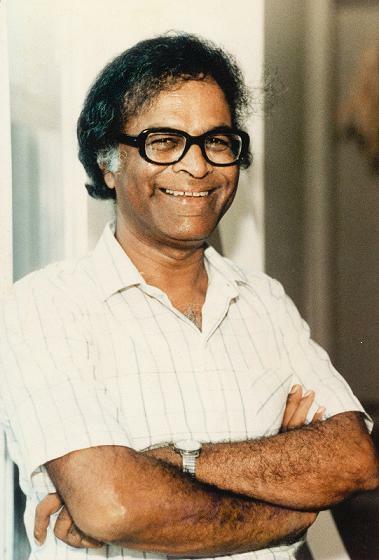 Anthony de Mello (1931-1987) is known worldwide as an extraordinary spiritual teacher. What may be less known to his international audience is what a brilliant psychotherapist he was, too. There are a large number of people who would attribute significant and even life-saving changes that helped them find happiness and peace in life because of de Mello. Not only did he found an institute in India that has trained a large number of therapists, he also made powerful interventions in the lives of people through his practice of what he called spiritual counseling. What accounted for the profound changes in people was his ability to combine the skills of psychotherapy with the power of Awareness or Mindfulness. The practical manner in which Anthony de Mello integrated the skills of psychology with the transforming wisdom of Awareness was both groundbreaking and innovative. Through all these works, as in his live conferences, de Mello continues to ease and tease his listeners, and challenge and inspire them along a path of humor and wisdom, obvious jokes and sudden depths. It is no wonder then that twenty-five years after his death, as in his life time, his work on awareness has inspired millions of people across the world and has continued to challenge them to wake up and live in the freedom and freshness of the Now. De Mello recognized Awareness as the essence of Spirituality. He proposed Awareness as the way to freedom from all that binds us – our attachments that fetter us, our conditioning that prevents us from seeing with clarity, the barriers of beliefs and ideas that obstruct our vision, and our fears that prevent us from loving. He did not invent awareness, it was already taught from ancient times and in diverse ways throughout the world, especially by the Buddha. All he did was to experience its power, embody it in his life, and communicate it to a modern worldwide audience in a way that they could understand. Here is psychotherapy with a difference: We combine the best of what modern psychology has to give with Awareness/Mindfulness, the deepest and the most effective element that the perennial wisdom of spirituality offers in order to guide you towards the peace and happiness that you long for. We offer a number of programmes and services that, through insight, understanding and skilful interventions help resolve the difficulties and problems you encounter. You will see that psychotherapy is neither painful nor shameful but an experience of growth and understanding that sets you free to find happiness in the present moment. Tony’s work was marked by an ordinariness and power that could in fact bring about deep transformation in the lives of people. This possibility of transformation is what we are offering to participants at our Awareness workshops and retreats. We do this not by repeating what Tony taught but taking it beyond where he had left off twenty five years ago. Tony wrote that the desired outcome of this work is this: to be Awakened – and transformed. “This is what wisdom means: To be awakened without the slightest effort on your part, to be transformed, believe it or not, merely by waking to the reality that is not words, that lies beyond the reach of words.